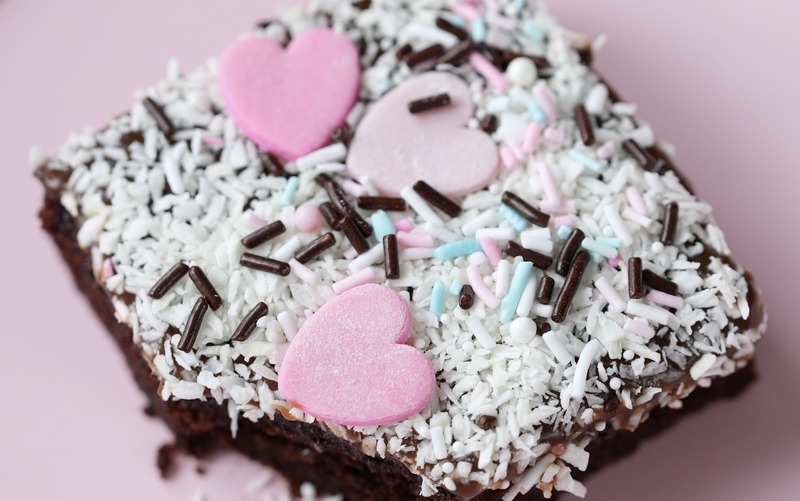 Hi sweet people, I hope you are having a great weekend so far. 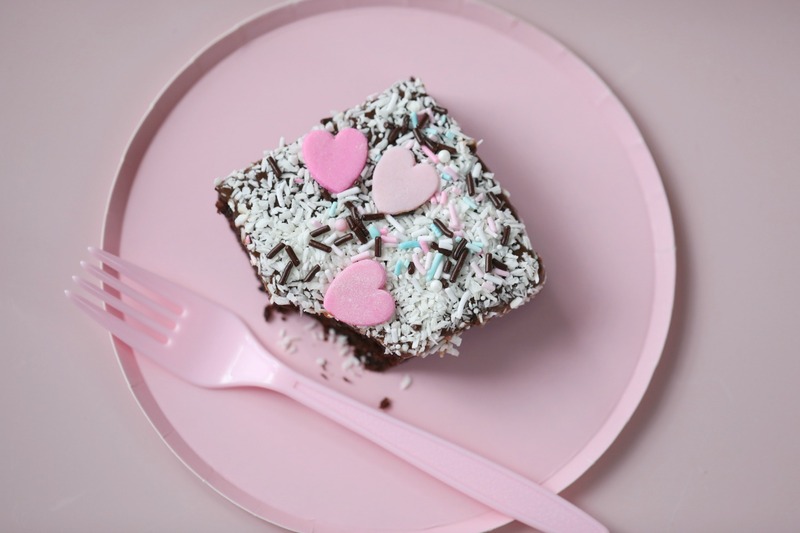 Sharing the recipe today for the best chocolate sheet cake ever, I decorated this cake with lots of love decorations perfect for valentines day. 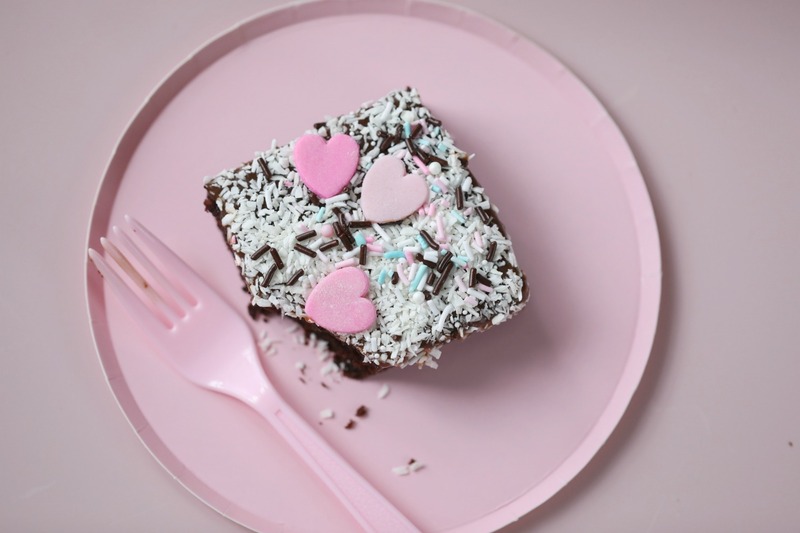 This cake, is absolute, without a doubt, the best chocolate sheet cake ever, at least that is what everyone is telling me, and I must say I agree. 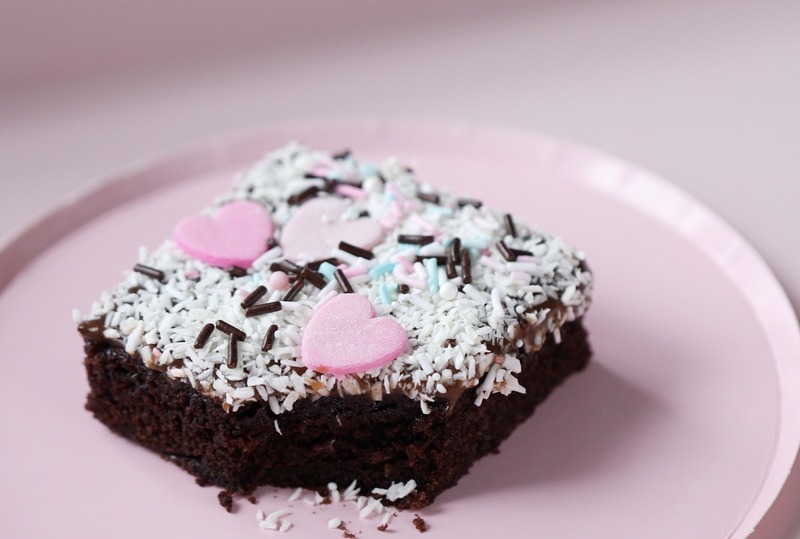 This cake is super moist, chocolatey and super rich in flavor, I drizzled a gooey chocolate fudge on top of the cake and drizzled the top with desiccated coconut, ( typical how we do it in Norway) and placed some homemade marzipan hearts on top, after all, it is a cake for valentines day. 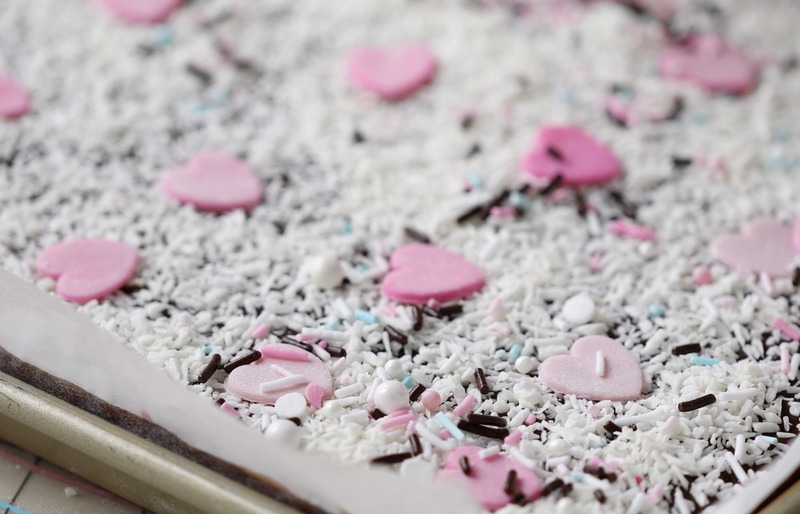 I had a small bottle of pastel sprinkles that I just added some chocolate sprinkles into and blend it together, perfect to drizzle on top in between the love hearts. 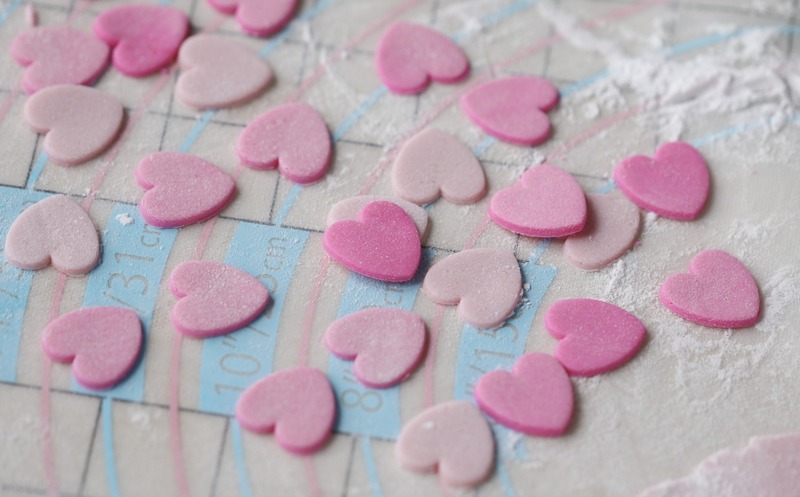 for the marzipan, I just use marzipan, get the recipe →here, and color it with pink food-color in 3 different shades. 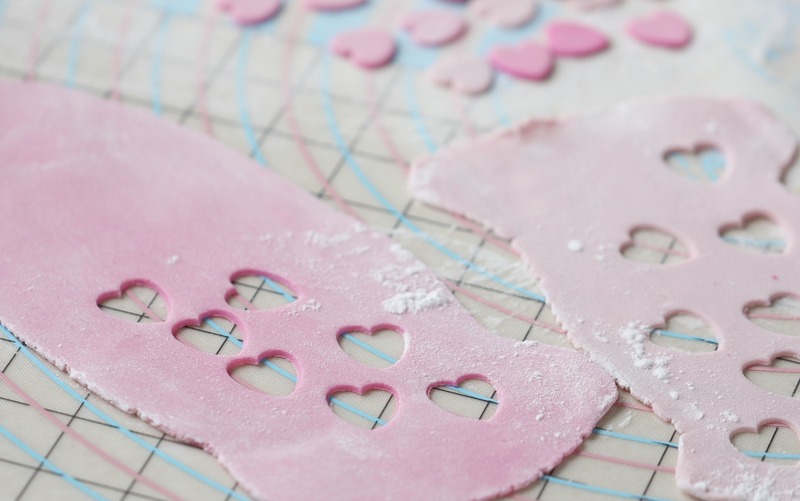 I roll out the marzipan ( make sure you have powdered sugar on the bottom and top when you roll out the marzipan) take a mini heart cutter and press out the small marzipan hearts. 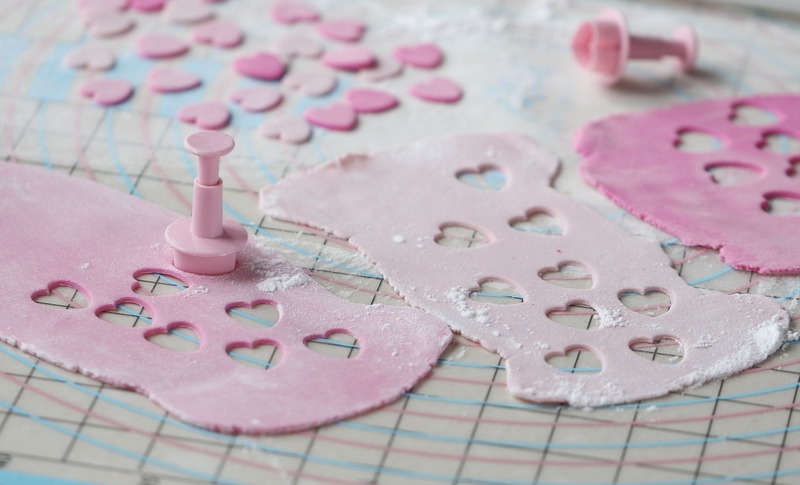 You can, of course, use fondant, but I prefer marzipan. 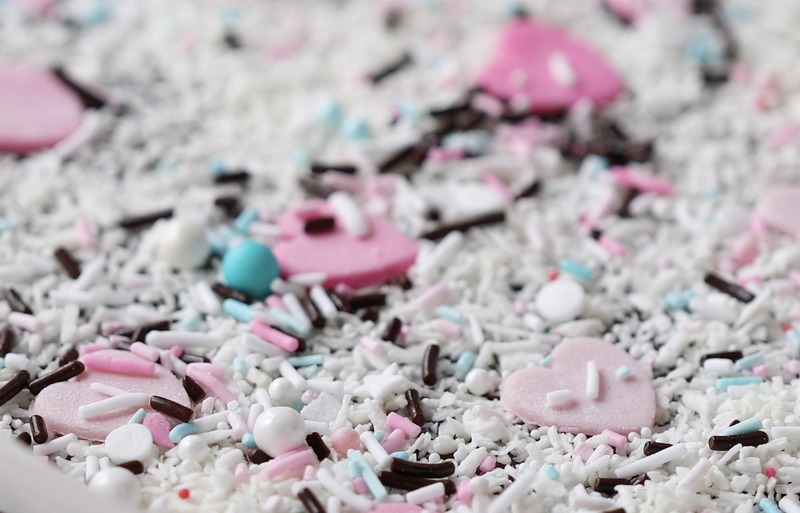 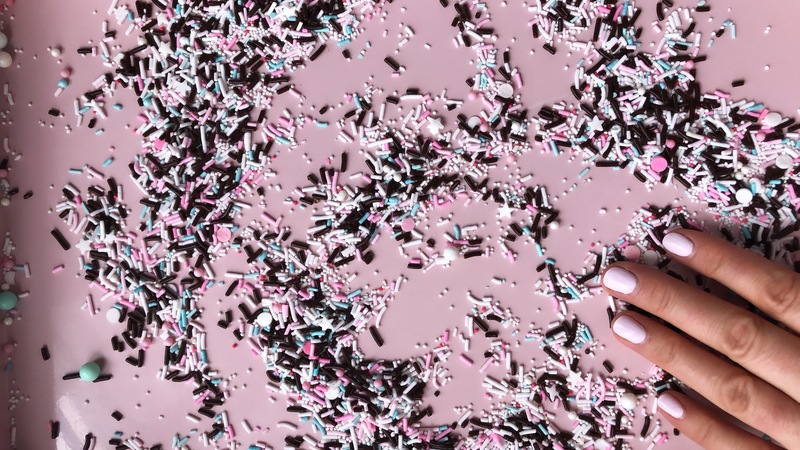 For the sprinkles, I just blended some pastel sprinkles with chocolate sprinkles, love this combination of pastel and chocolate. 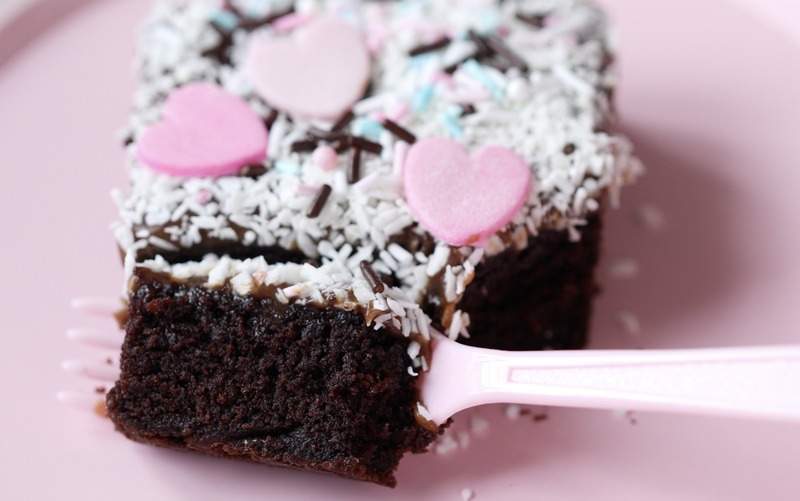 Before you bake this cake, make sure to read my small notes below, for the perfect moist chocolate cake. 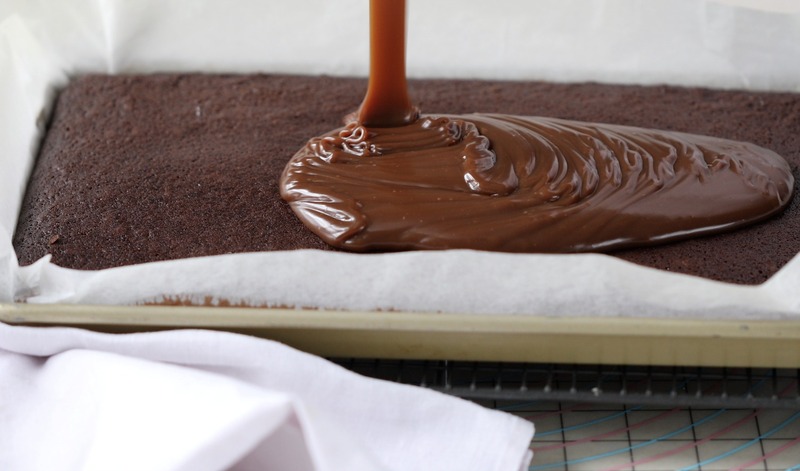 Chocolate sheet cake →Preheat oven to 338F°(170C°). 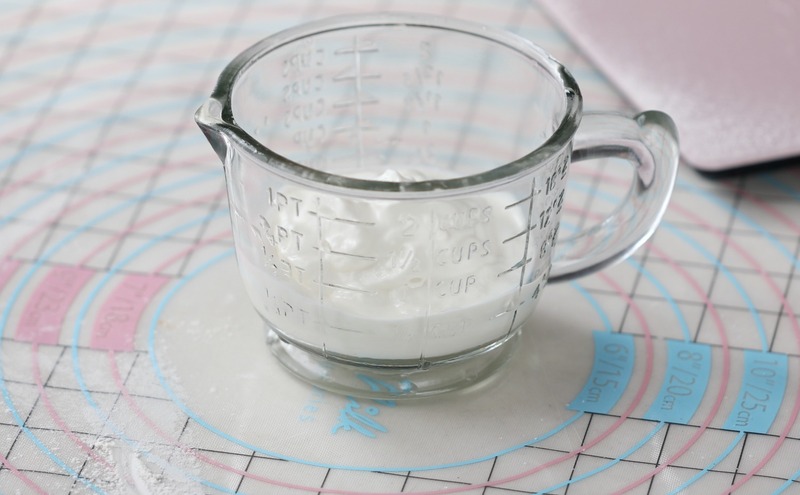 Grease and line 1/2 sheet cake pan with parchment paper. 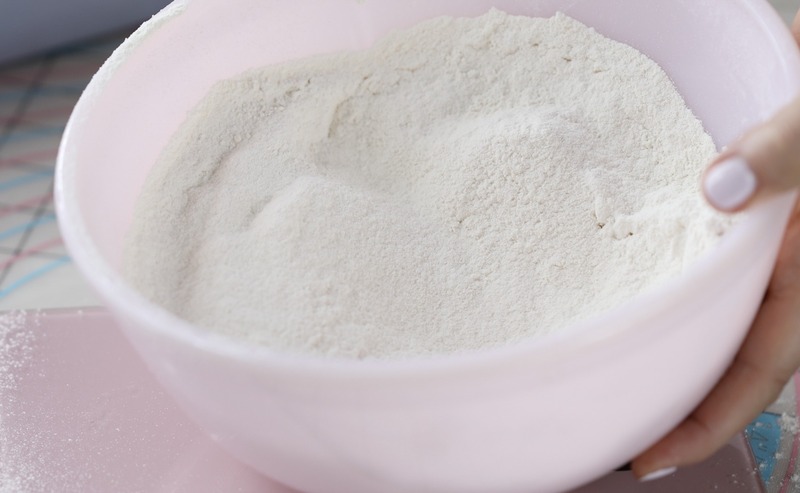 In a medium bowl, sift the flour, baking soda, and salt and set aside. 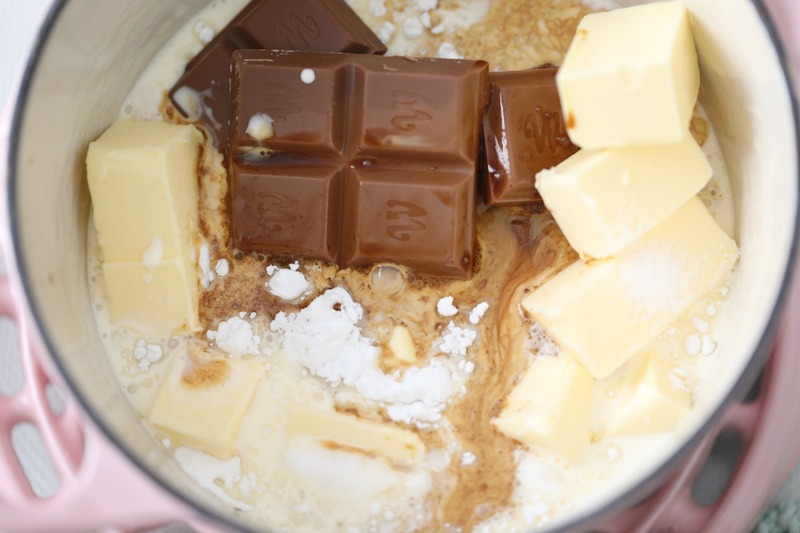 In a medium saucepan, add the sugar, butter ( diced) brewed coffee ( or water) and cocoa. 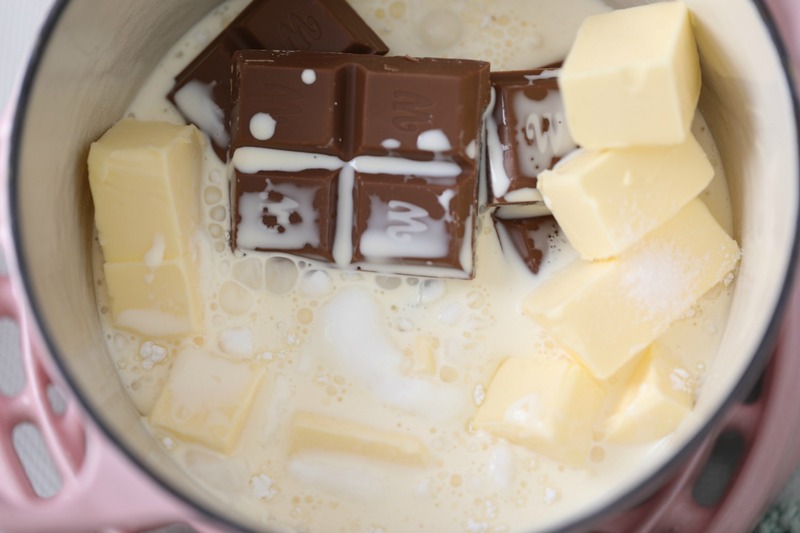 Allow the mixture too cool slightly, then add in the crème fraîche and quickly combine. 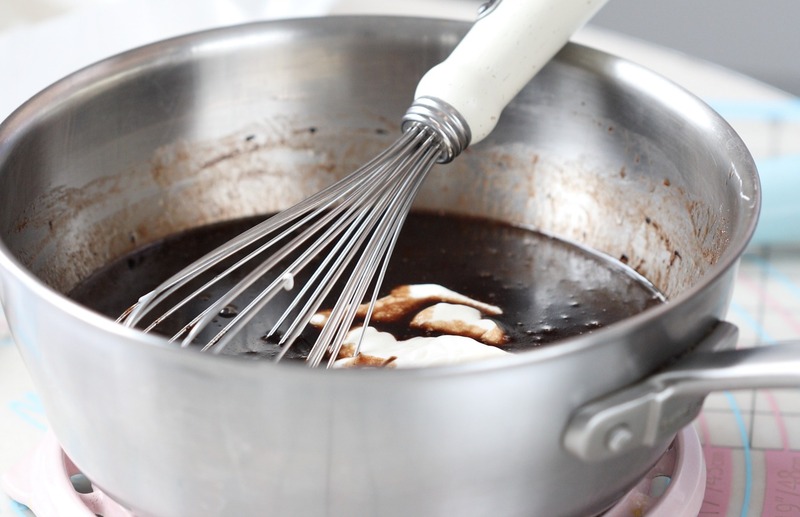 Whisk in one egg at the time. 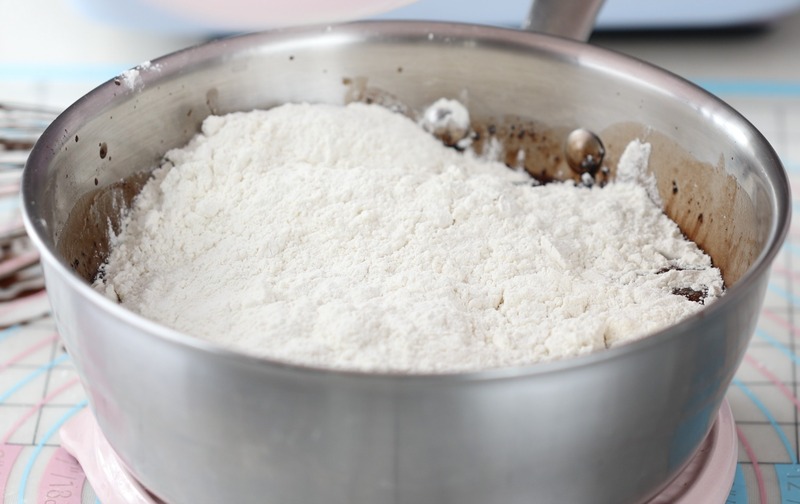 Sift in the flour mixture, and very carefully combine the mixture together. 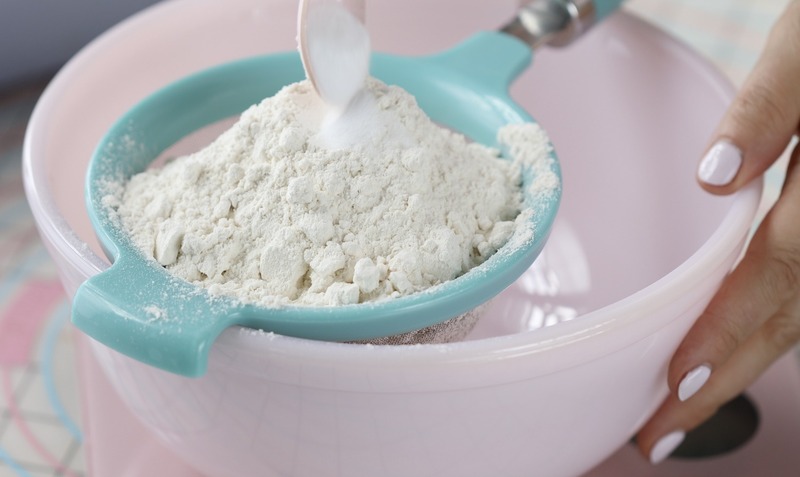 Make sure to not over-blend after you added the flour mixture as it will result in a dry cake! 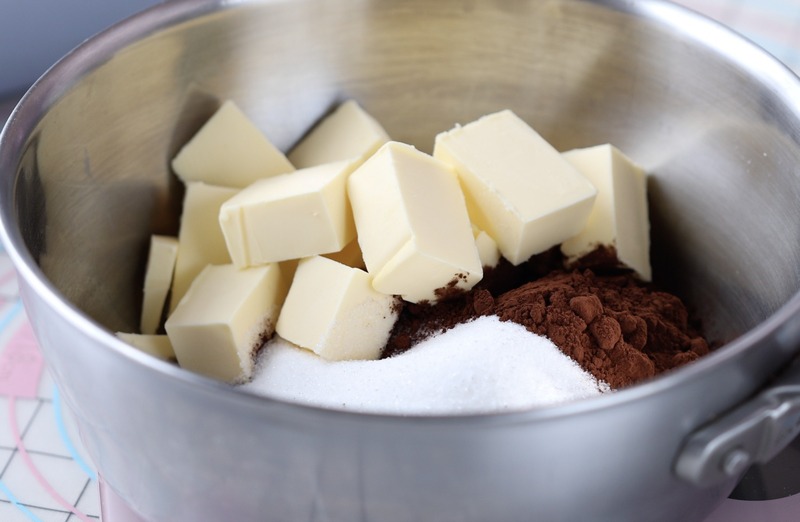 Pour batter into prepared pan, spread it evenly. 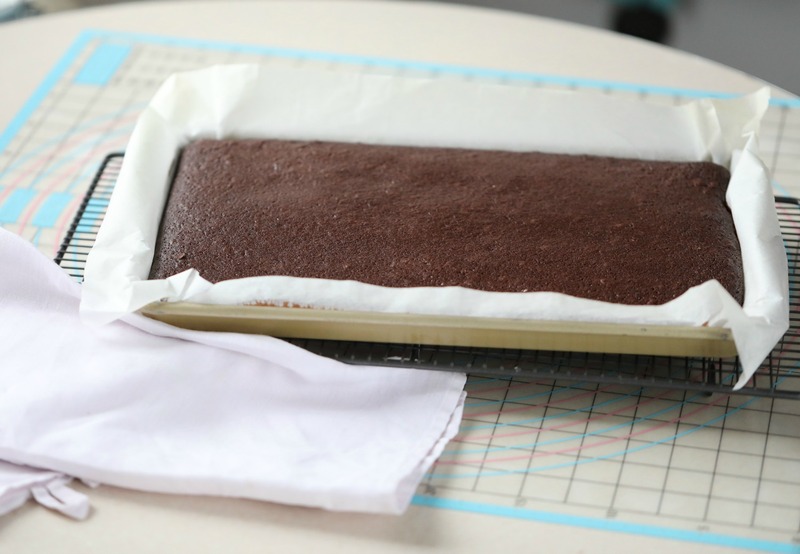 Bake in the preheated oven for 20 minutes, or until a toothpick inserted into the center comes out clean. 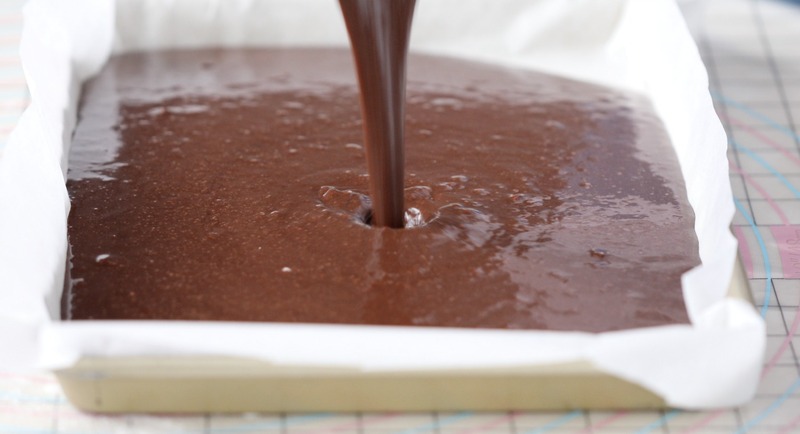 Cool the cake for around 15-20 minutes. 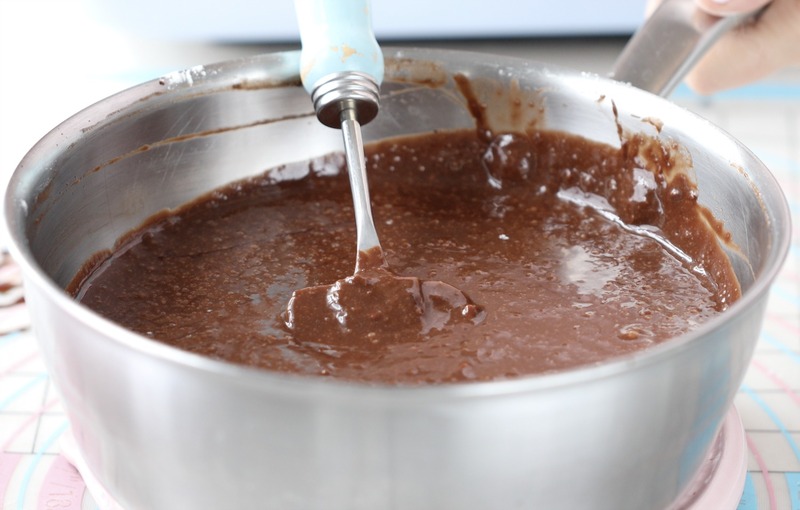 Pour the chocolate fudge over the slightly warm cake, try to pour it all over the surface, so you won´t have to do much spreading. 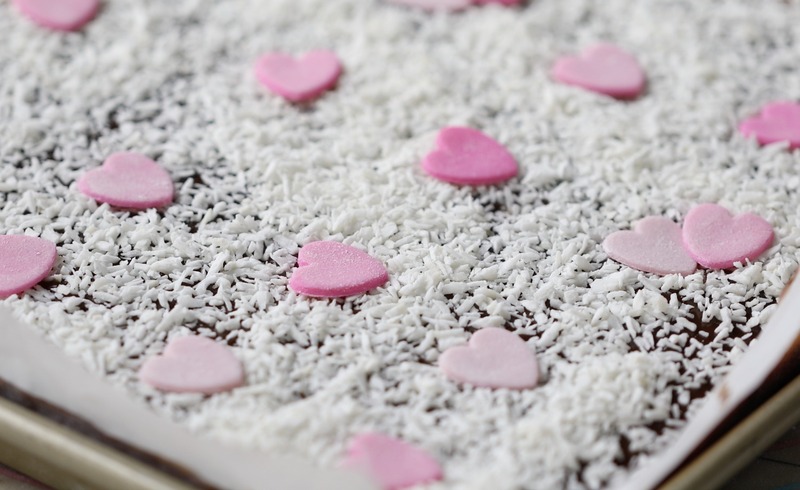 Drizzle the top with coconut. 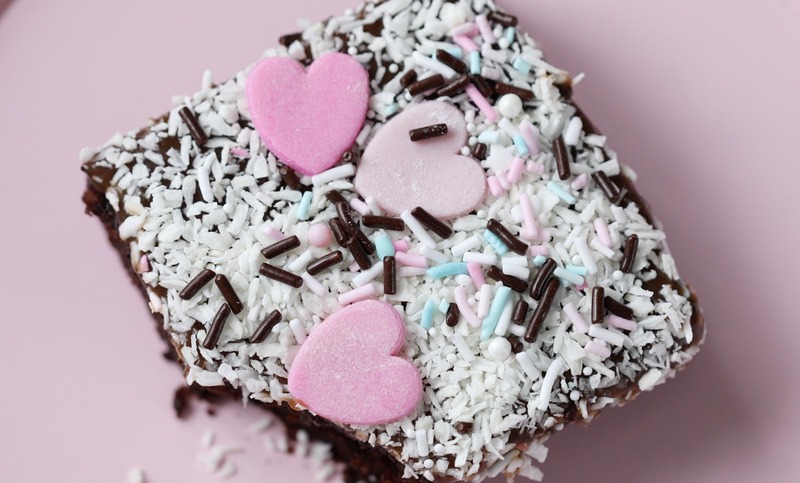 Place the marzipan hearts on top, and drizzle the top with some sprinkles. 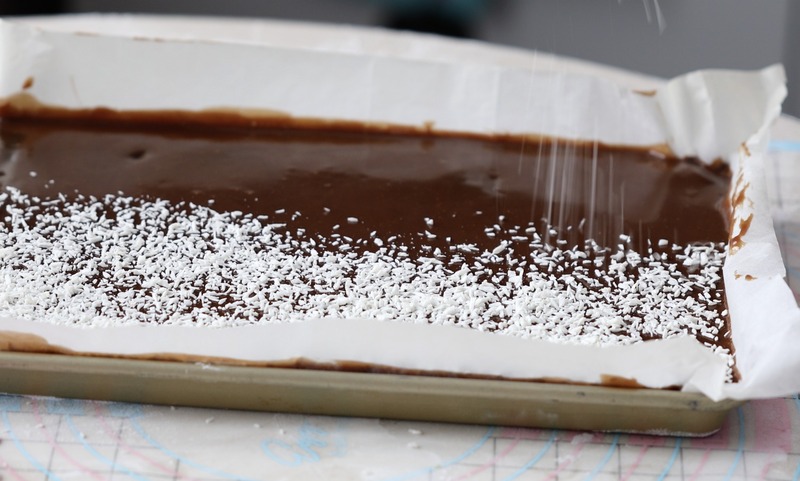 Keep the cake covered with plastic wrap at room temperature for up to 3-4 days. 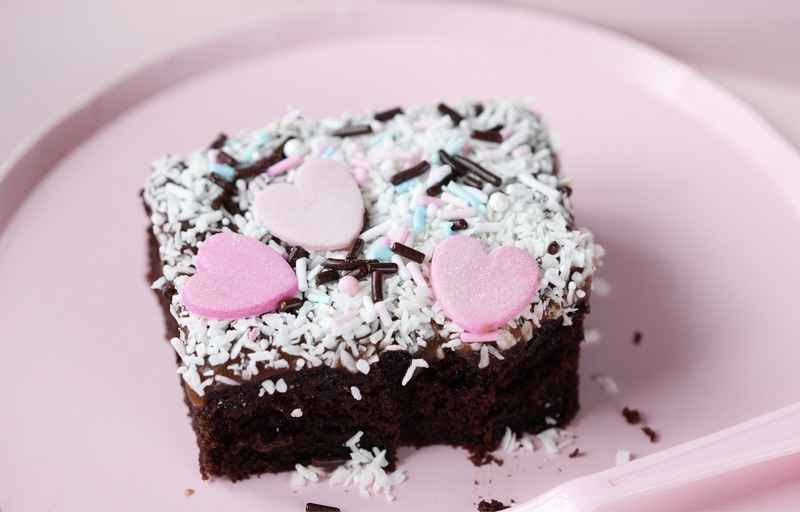 To experience the moistest chocolate sheet cake the way I do, make sure you don’t blend the mixture too much after you added the flour mixture. 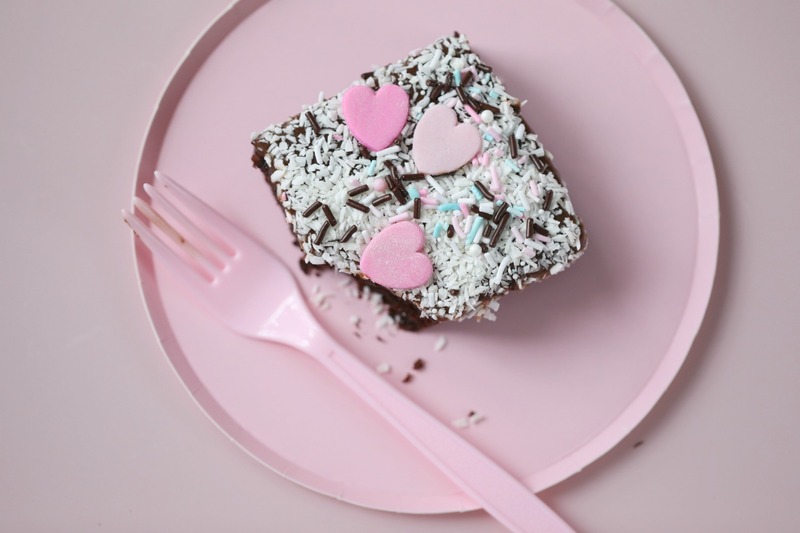 It makes all the difference. 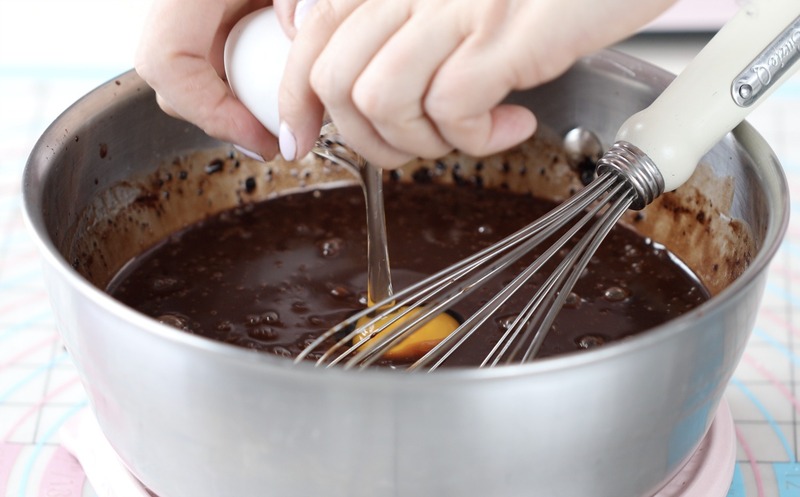 Instead of stirring the flour mixture, I just poke the flour mixture into the wet ingredients, just poke with your whisk and add the end, stir with your spatula to make sure there are no lumps of flour left in the mixture. 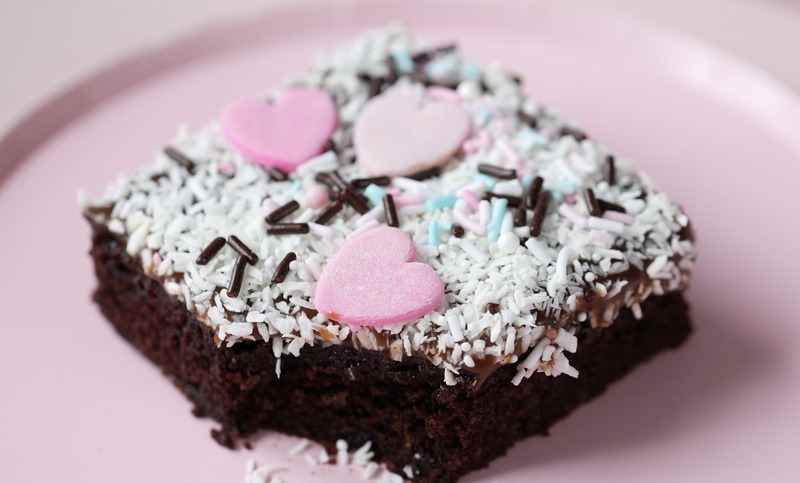 If you are not a fan of milk chocolate fudge here is another topping /recipe that we often use in Norway on cakes like these. 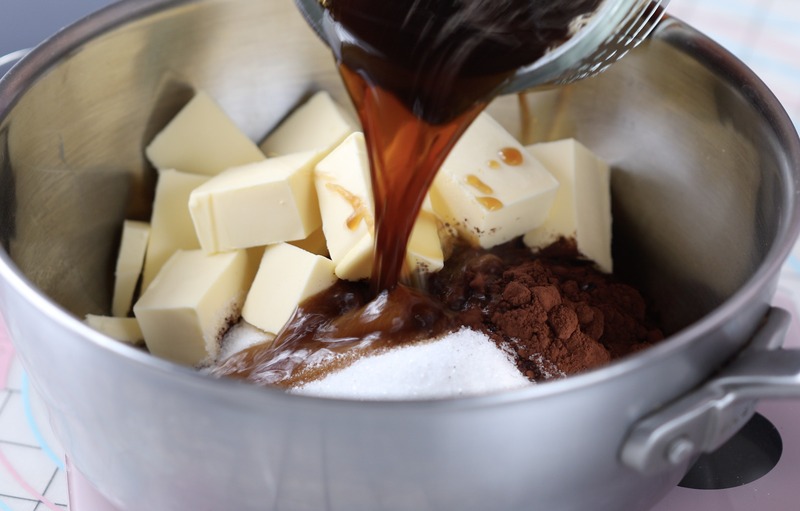 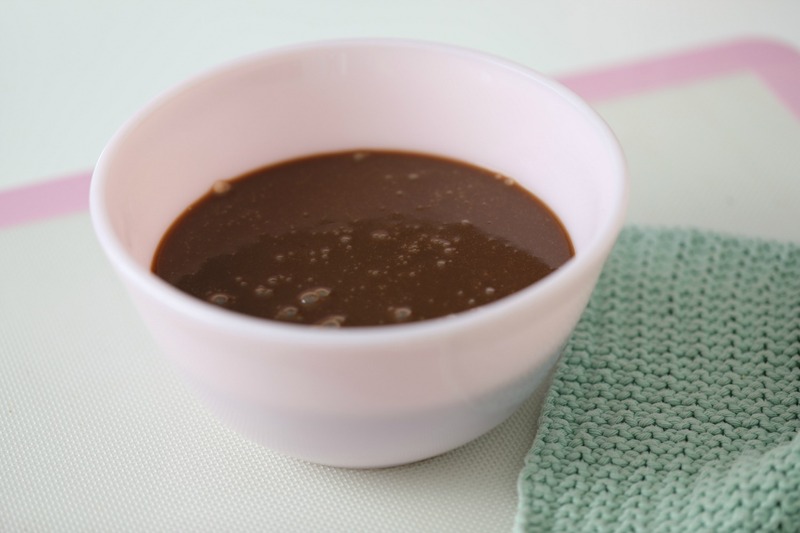 Melt the butter into a saucepan, add coffee, powdered sugar, cocoa, and vanilla sugar. 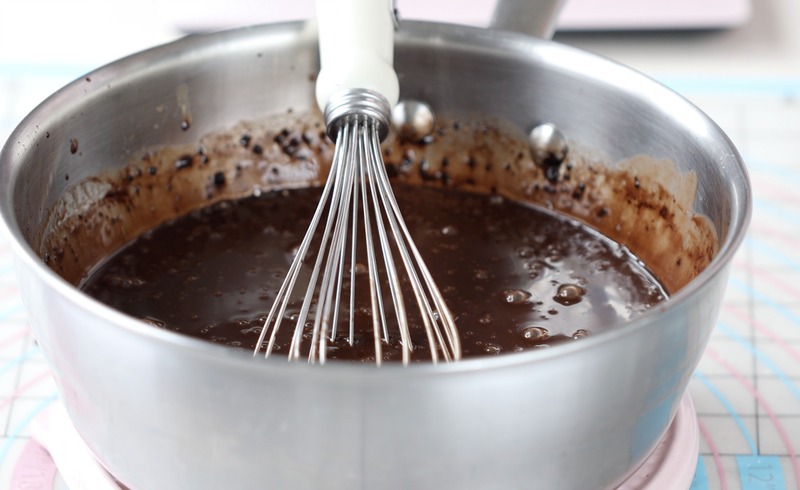 Combine with a whisk until you get a shiny glaze if you like the glaze to be thicker, simply add more powdered sugar and combine with a whisk. 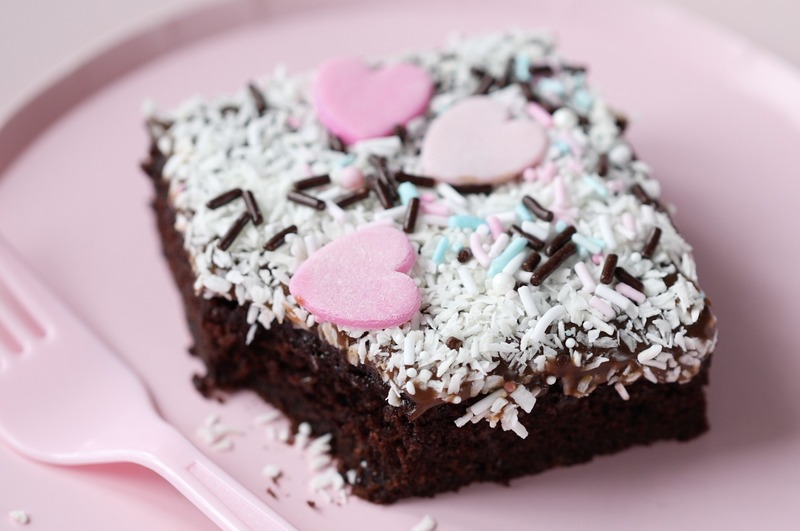 Drizzle it on top of a slightly warm cake and proceed as described above.